Driving without car insurance is not only illegal, but incredibly expensive. Even the slightest incident could cost you thousands. The thought of searching for a car insurance plan is daunting, but if you follow a few simple steps, youll be behind the wheel in no time. Quirk Pre-Owned has some basic guidelines to help you find the right car insurance for your driving needs. 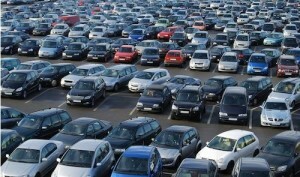 If youre shopping for used cars in Braintree, you are most likely shopping for a car insurance policy as well. Saving money may seem like its a game of hardball, but all it really takes is for you to ask. A lot of insurance companies will offer discounts as an incentive to policyholders. By simply asking about potential discounts may unveil a treasure chest of savings you wouldn’t have received otherwise. Common discounts include low annual mileage discounts, group insurance rates for members of certain organizations, professions, and college alumni. So speak-up, you never know what your question might be worth. Doing a little homework before you start to shop can make the entire process much easier. Understanding which deductible number is right for you will allow you to pick-up the pace and save at the same time. Most insurance companies will offer lower rates if you increase your deductible. The Consumer Federation of America’s director of insurance J. Robert Hunter says, If you go from a $250 to a $1,000 deductible, you can save between 25 and 40 percent on your policy. Thats a potential savings thats worth a second-thought. Know your cars worth. Doing some research will also educate you on the types of features you need in your policy, and which are unnecessary. If an insurance policy costs more than your car is worth, its probably not a good fit for you. Determine what you should be paying is simple; just add-up the value of your comprehensive and collision premiums and multiply by 10. If that total is less than the value of your vehicle, pass on that collision coverage. Before you set-out shopping for used cars near Braintree, get an idea of the type of insurance policy that would fit best into your lifestyle. Visit Quirk Pre-Owned for more information on how you can save money with your next used car purchase. For additional information, call us at (877) 466-1512 today!